Buy 2 of your favorite paperbacks and get 1 FREE. Shop B&N now and choose from a lively variety of literary favorites, biographies & memoirs, science & nature titles, cultural works, and more. Based on the recently published book, "MS TOOLKIT - A Patients' & Caregivers' Guide to Multiple Sclerosis," MS TOOLKIT will inform patients and caregivers about the realities of the disease, its possible causes, effects, and treatments. It will provide current information on new developments, clinical trials and other important matters for those dealing with MS.
Cary was first diagnosed with relapsing/remitting MS in July 1995. He currently has secondary progressive MS. 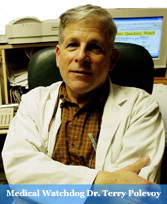 He is the author of the new book, "MS TOOLKIT - THE PATIENTS' & CAREGIVERS' GUIDE TO MULTIPLE SCLEROSIS," published in August 2006. Cary's career saw him employed as a chief financial officer, securities analyst, portfolio manager, and stockbroker. He became unable to work in 2000. Since 1996, as his health has allowed, Cary has been a participant in, and a major fund–raiser for, the Colorado MS150 Bike Tour, held for the benefit of the National Multiple Sclerosis Society. Cary has also been active as a member of the NMSS Speakers’ Bureau and as an NMSS Peer Support Mentor. He has periodically contributed articles and editorials about multiple sclerosis to the Denver Post and Rocky Mountain News. Cary lives with his wife, Chris, and their two dogs and three cats, in Centennial, Colorado, a suburb of Denver. He earned a Bachelor of Arts degree in Accounting and an M.B.A. from the Broad College of Business at Michigan State University. Christine McPhee pumps up Leonard Horowitz on her May 20, 2000 on the Touch of Health show. I assume that Len paid for the advertisement, which as always sounds like a news interview. It was apparent to at least me, that McPhee was not quite ready for Len's evangelism. She had been talking earlier with Penny Seth-Smith, a naturopathic - homeopathic guru from British Columbia, and then had Norman Allan on for quite a while talking about research of a more scientific approach. CM: A person's mental, emotional and spiritual state can have a tremendous effect on health and healing. That's a documented scientific fact that's clearly understood and is definitely valued. Joining me right now is doctor Leonard Horowitz, who is going to be in town next week for a touring conference called "Healing Celebrations". Dr. Horowitz, welcome. LH: Christine, welcome, thank you, appreciate it. CM: Well it's interesting that there is an interconnection between the body the mind and spirit of disease symptoms, and how we embrace'm all is actually how we treat disease. LH: Well, absolutely. I think there are so many stunning breakthroughs today in contemporary science, health science, and how it relates to scriptures. That is traditional ancient healing methods prescriptions, that really I think it's time to celebrate. We actually have the capacity today to produce absolutely miraculous healings both through modern scientific technologies, as well as confirming how it was that blessed Jesus, Yeshua, placed his hands on people and had them miraculously healed. We can explain those things today. CM: How do, what to you mean? LH: Well the fact of the matter is, if you think about it, the purpose in fact of the coming weekend's healing celebrations event is to integrate ancient scriptural knowledge with the most advanced health science. That is, if you go in the back of the Book of Genesis, no in the beginning of the book of Genesis, it starts with how God created the universe. He spoke it. In the beginning there was only God and the "word". Word is sound, and sound is what? Sound is electromagnetic frequency. And what is that, that's physics and mathematics. So, suddenly when we begin to integrate quantum physics into our analysis of ancient scripture, we can begin to really understand how we it is that we can see miracles, and we've had miracles absolutely take place during this healing celebration's event, where Valerie, Dr. Saxion, would lay her hands on people and miraculously tumours the size of orange, would suddenly, instantaneously dissolve. Now what causes that? Well, the scriptures say, Jesus said, "put your faith and trust in the heavenly father". Well, that's true. But, how does the heavenly father produce those miracles and why would he produce those miracles? Well, for those who understand scripture, we know that God is extraordinarily loving, that nature itself is totally in balance, that it wants to be healthy. It has a tendency to stay there. It's unfortunately man's deceptions that will lead him astray, and ultimately cause problems. And it's the same thing with disease, when we become sick because we're not taking care of the natural balance. Well now if we enter into the what's called the heavenly kingdom, and the holy spirit, well again what is the "holy spirit". We can look at that as virtual virtually an electromagnetic matrix of creative healing potential, including the potential to create absolute miraculous healings in the spirit of love, divinity and ultimately what the father wants. That is to give him praise for it all. CM: Now interesting Len, you're coming at this now in a different approach than many religious groups, how so? LH: Well, actually we're taking it to next level, in the fact that it's never been done before, where you integrate the most advanced science. For example, three of the five Nobel Prize winners this past ten years, one their award money in the discover that the primary function of DNA, that is the genetic blueprint of life, is not in protein synthesis. That's less than 3 percent of its function. Over 90 percent of its function, they determined, is to act as electromagnetic receivers and transmitters, like antennas. They receive and then transmit virtually God's love. That is again the electromagnetic frequency vibration of the naturally balanced universe. So know, your being blessed constantly. That's in fact what allows you to go to sleep at night feeling so dreadful and you wake up in the morning so refreshed. Cause, all night long you've been blessed with God's love. It's being picked up by the DNA, being sent out and transmitted to all the cells for rejuvenation healing. So, that is very clearly determined by science, and I think in this, I mean many many people who follow scriptures and prophecy understand that this is an extraordinary time in history. It is considered the "end times" by many. In fact in the "end times" we've been told that we have "revelations", we have "prophecy", we have the elderly, it says in the scriptures who have dreams and have visions. Well, that's precisely how we got the "healing codes". CM: Well, isn't that interesting Len to give you that, is that only with the, for the apostles? LH: Uh, actually no. In fact that the apostles said, and Jesus also himself said, "you will do far more than I". And simply they gave you the prescription of how to do that. And, that's not only what we are doing in the "Healing Celebrations" event, but we're also using because faith and trust is so important. And today, we're very rational thinking, scientifically thinking individuals, and we have the science to back up miraculous healing. So, it's a matter of just putting it all together, and then relaying it in a way that people can understand. Thus it builds not only faith in science, but the magnificancy in God and the holy spirit, for miraculous healings. NA: I heard on the radio about a study in a Kansas teaching hospital, who did a study on prayer and recovery of cardiac patients...they had a group, it was a small study. They had a group that was being prayed for, by a controlled group that didn't. It was double-blind. And, a group that didn't have, they may have been prayed for but didn't have this additional prayer. And they saw an 11 percent benefit. It just shows some statistical significance. But, how this works is something that I as a scientist say, all we can do is speculate. CM: Hmmmmmm. Len, where can someone see you. LH: Well, we're going to be at the University of Toronto, well actually the Ontario Institute for Studies, at the University of Toronto, all day, from 9:00 in the morning until 9:00 at night on Saturday, the 27th. That's next Saturday I guess. CM: For a full day event at the Ontario Institute in Studies in Education, "The Healing Celebration" joined by Dr. Leonard Horowitz. Thank you doc!!! LH: My pleasure, God bless.